The land of extraordinary beauty, Arunachal Pradesh, is the largest state among the 7 sister states of North East India. The state has a milieu of charming attractions which can do wonders to those who are seeking a magically brain healing land in the country as divergent and as large as India. Arunachal holds a lot of mention in the ancient epics and text, of which the most prominent one is that Lord Krishna married Rukmini in this very state. Now, read on. For an amazing holiday, you need an amazing destination. Arunachal Pradesh is the most suitable option for those who are in search for something offbeat and exotic in the Indian lands. Read ahead to plan a trip to this awe-inspiring state of Arunachal Pradesh. By Air: There are no direct flights to Arunachal Pradesh. The closest airport is in Guwahati, from where it takes two hours to reach Arunachal. By Rail: Nearest railway station is 33 km from Itanagar, in Guwahati which is served by the Arunachal Pradesh Express. It is suggested to use the PNR status feature of Indian Railway for a better train journey experience. By Bus: Itanagar is well connected with taxi and bus links. 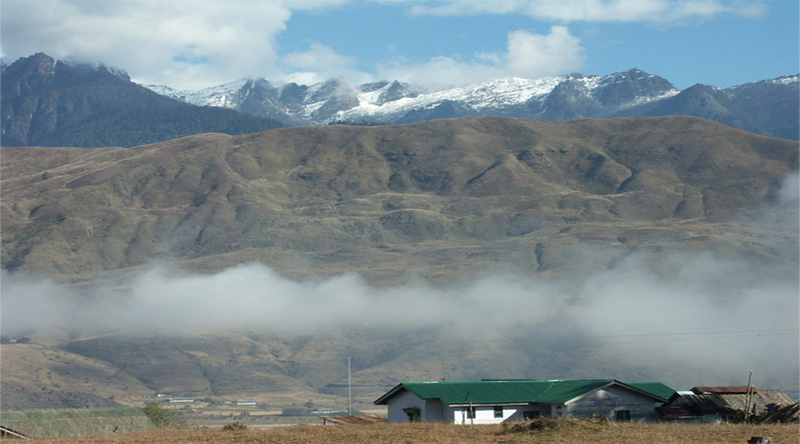 Arunachal Pradesh offers a multitude of spectacular sites to numb your mind and body with the wondrous perspectives. It surely is some wonderland. Check out these sites. Tawang: Grandiose mountains, waterfalls that course into profound chasms, azure blue sky and shimmering lakes make Tawang an exotic choice than any travel destination. More famous among the adventure junkies, very recently Tawang has managed to grab the attention of honeymooners as well. The pristine Sangeshar Lake in Tawang, is a perfect spot for any honeymoon couple- the ideal environ and the innovative set up makes a post-wedding trip more unique and comfortable. Sela Pass: This utterly cold place is at an elevation of 13,700 ft and is a link between Tawang, Tezpur and Guwahati. One shocker- in winters the temperature here may dip down to -10 degree Celsius! Gorichen Peak: Also known as the White Giant, this peak is at an elevation of 22,500 ft and is snow capped throughout the year. Perfect backdrop for some amazing photography! Madhuri Lake: Named after the Bollywood actress Madhuri Dixit, the lake is the only remaining reminiscent of the Shangatser Village that got destroyed some hundred years ago in an earthquake. A lovely little cosy place for the love birds. Nuranang Falls: Water cascading down from 100 ft, crashing the rocks, thereby making that sweet sound which serves as an audio therapy to the mind and soul. Moreover, the surrounding greenery with this gorgeous fall amidst, make for a delightful visual treat. So, plan your trip systematically, and since Itanagar isn’t very well connected directly to the cities across the country, it is suggested to make a PNR prediction with the Indian Railway for Arunachal, for the availability of tickets. After all, the restlessness to visit this place can’t be tamed easily, right?